Many people find that for one reason (poor clay soil) or another (no space) that they have to become creative when it comes to planting a garden. So many folks tend to take for granted the space and conditions they have when deciding what to plant and where to plant. 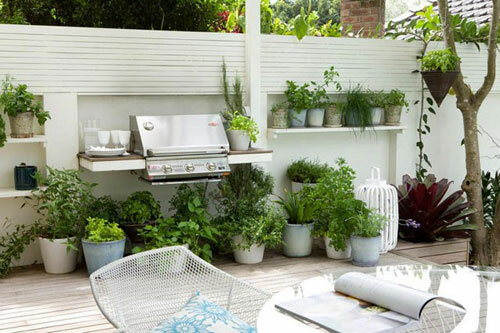 Mixing up different types of plant materials is common when limited for space. Having succulents, orchids, calla lilies, cactus all sitting side by side is normal. If you like the color of a certain plant you just tend to bring it home without having any kind of plan. As soon as you run our of room you will become more selective. 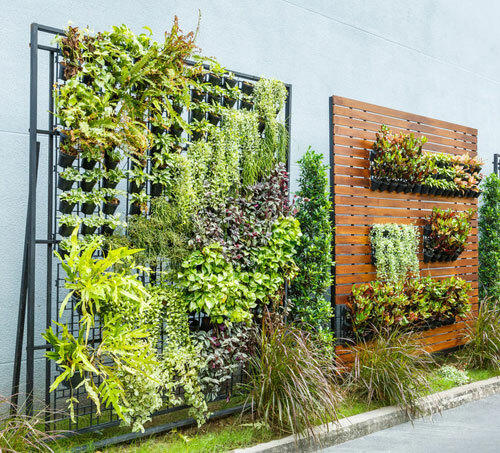 Hanging pots as a vertical garden, or wall garden has become very popular with people becoming more creative and creative when it comes to planting a garden with no space to spare. When making a plan try to figure out where the sun or shade hits and plant accordingly. 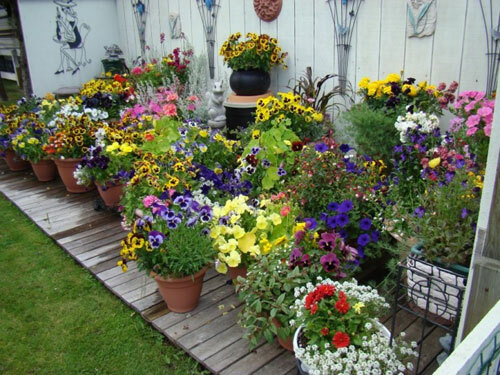 When it comes to collections of different planters, try grouping them for maximum impact instead of scattering them around, where they may get lost among the leaves etc. 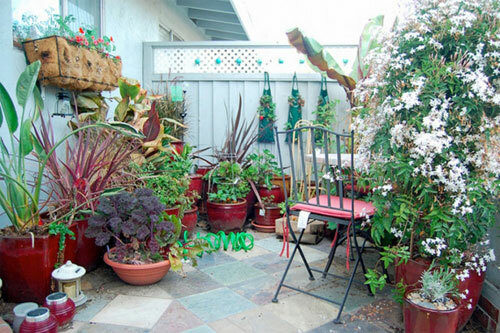 Guest can view the entire garden from a deck or patio area which makes it easy and fun when showing off a new pot or garden plant. 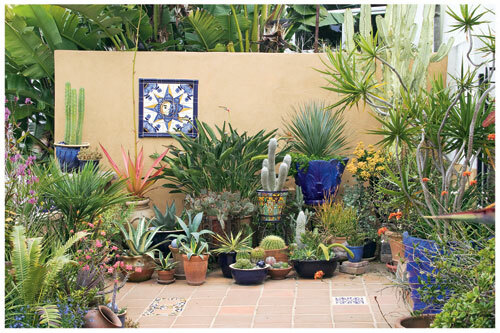 Use bare walls on the outside of your home to showcase collections of unusual containers like tea-pots or old shoes. Place potted trees where you may need a privacy screen or a unsightly view. Place roses in garden pots where they add a wonderful scent and color to that garden area. When it comes to containers - use anything you like. Mix terracotta with ceramic, rectangles with bowls and clay with lightweight poly resin. There is no right or wrong here, just get crazy with it. Hope we helped give you some ideas so you can become a pottery collector of your own!